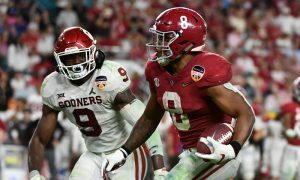 His teammates and coaches honored him with the “Most Inspiring Player” Award on Sunday at Alabama’s annual awards banquet in Birmingham, but national media finally recognized Jalen Hurts for what he is after seeing his performance in the Southeastern Conference title game. 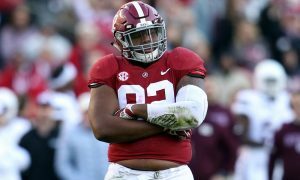 Although he will be one of the finalists for the Heisman Trophy, Georgia was prepared for sophomore Tua Tagovailoa and he missed the fourth quarter due to an ankle injury. 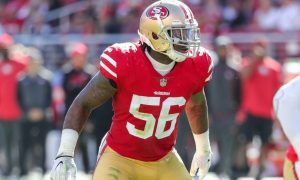 Along with that, there were many people who thought he would not be on the roster this season or he takes the redshirt rule and does not play. Before and after his decision to spurn all doubters against Louisiana, the native Texan had improved as an overall player with Dan Enos. 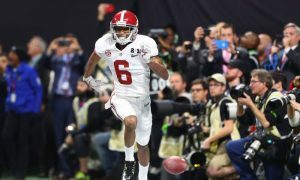 Hurts entered the game with the Tide trailing by seven and navigated two touchdown drives that ultimately delivered it a championship. 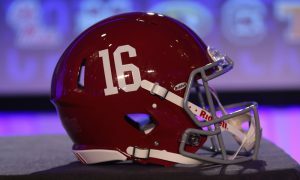 The 6-foot-2, 218-pounder completed seven of nine pass attempts for 82 yards – including a 10-yard scoring toss to Jerry Jeudy to tie the game at 28. 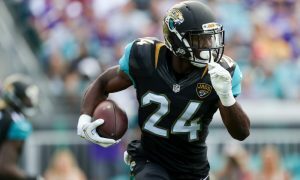 His game-winning run of 15 yards had fans screaming his name and media pundits absolutely stunned. While some simply admitted they were wrong, ESPN’s Marty Smith was one of few that took it a step further to really appreciate Hurts on social media. We all said Jalen Hurts wasn’t a passer. Yes the winning touchdown was a run. But let it be said: Jalen Hurts passed Alabama to the SEC Championship in that 4th Quarter tonight against a great Georgia team that played exceptional football. This is UNREAL! What a performance from @JalenHurts. To come off the bench and do what he’s done with these last two scoring drives — seen really for the first time in a situation that counts since the title game — is sensational. Special. So happy for him. Shocked, but happy! 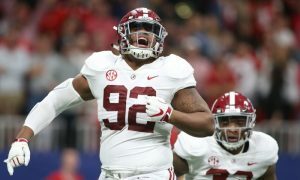 More action remains to be seen as the College Football Playoff stage is set; nevertheless, reclaiming pride as conference champions was marquee for Hurts and the Tide. 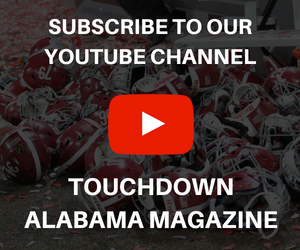 For Monday’s airing of In My Own Words, Stephen Smith of Touchdown Alabama Magazine talks on the journey of Hurts and why he should be respected as the ambassador of Alabama football.